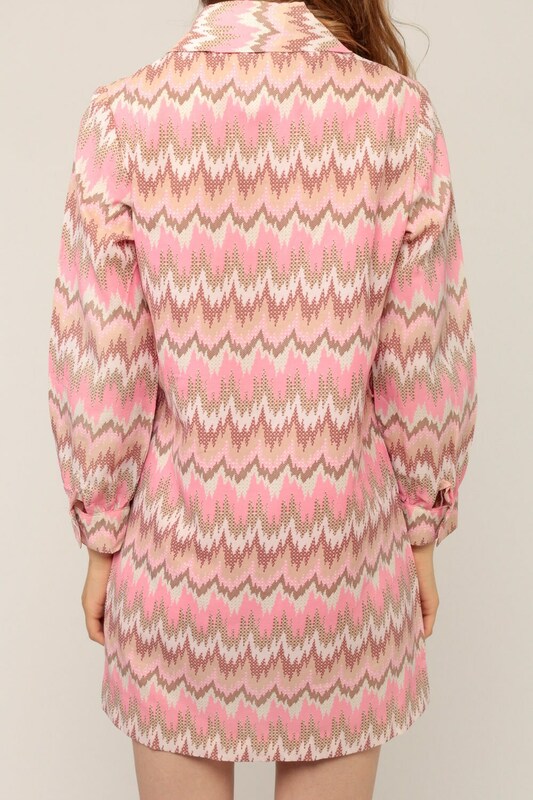 Vintage 70s dress in a pink wavy stripe print. 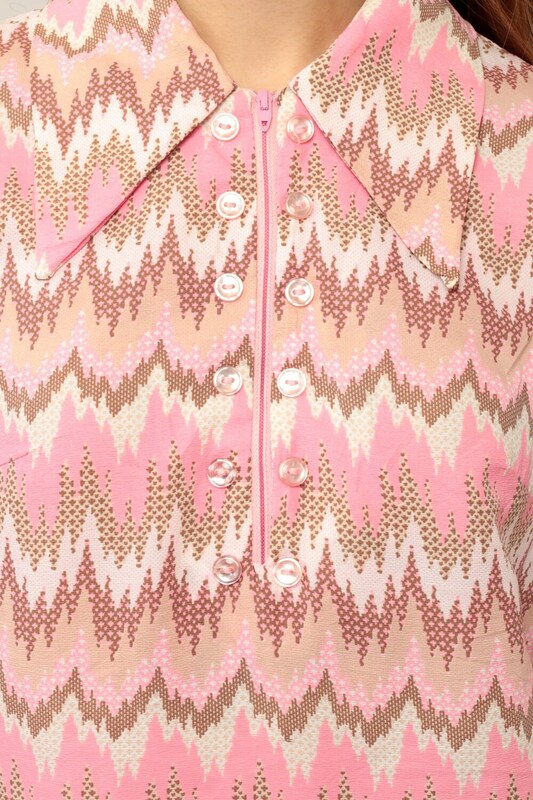 Shift cut with a short zipper at the chest, and a pointed collar. Mini length. For reference, model is 5’9” and measures 32-23-34.